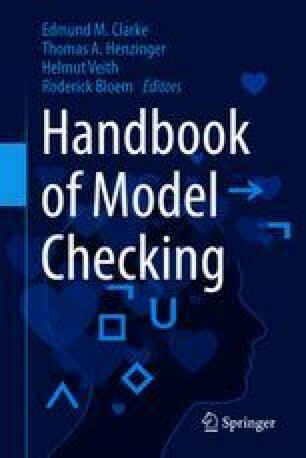 In this chapter we discuss the methodology used in explicit-state logic model checking, specifically as applied to asynchronous software systems. As the name indicates, in an explicit-state model checker the state descriptor for a system is maintained in explicit, and not symbolic, form, as are all state transitions. Abstraction techniques and partial-order reduction algorithms are used to reduce the search space to a minimum, and advanced storage techniques can be used to extend the reach of this form of verification to very large system sizes. The basic algorithms for explicit-state model checking date from the late 1970s and early 1980s. More advanced versions of these algorithms remain an active area of research.